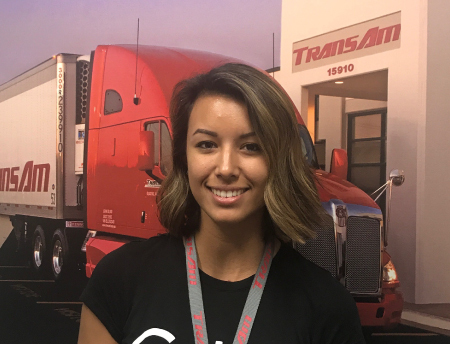 Just like drivers have an impact on our economy, Sammy is a perfect example of a team member that makes a big impact at TransAm through her hard work and passion. Thanks for everything that you do, Sammy! I know the TransAm staff and our drivers appreciate it!